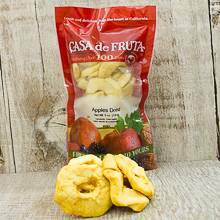 Sweet dried Fuji apples are cut into perfect rings and are great for baking, as yogurt and salad toppings, or just plain snacking. You will be sure to love this tasty treat. Packaged in a 5 oz. bag.